Hooked Seafood Co. -- just to the left of the entrance when you walk into the market -- is one of the newer fishmongers to join the Capital Region purveyor scene. I'm told the fish comes in from Boston daily (that's a very broad claim and yes, I'm looking into that), but everything looks fresh and clean. 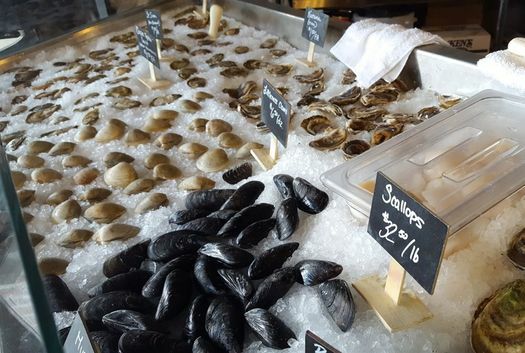 The oyster selection alone would have me coming back -- that St. Simon I was offered was rich, buttery, and tinged with briny notes, as if the flesh were the treasured pearl itself. The display cases are easy to spot, but look one stall over -- past the freezer of housemade soups, chowders, and fish bits -- and you'll find the ready-to-eat restaurant section of Hooked. A succinct menu of fish and chips ($10) or lobster rolls two-ways ($15 for the cold version with tarragon mayo, $16 for the hot version with browned butter vinaigrette) is complemented with a specials menu of daily sandwiches and items like scallops Rockefeller tacos. But the "build your own" option is what led me to this blackened fish po'boy. 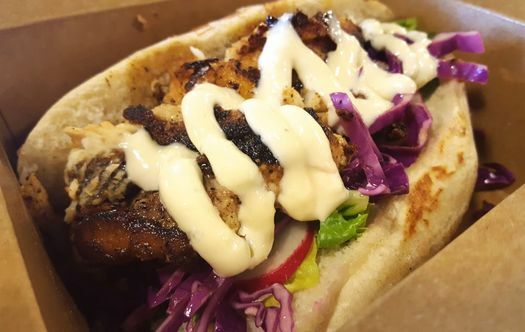 First, choose your vessel (field greens, lettuce cups, corn tortillas or a soft po'boy roll), then your protein (which is how your meal is priced -- choices range from blackened daily fish to seared scallops to fried oysters), add up to three toppings, and then dress with a sauce of your choice. Altogether it was more sandwich than I could pack into my hollow leg at lunch without falling victim to the afternoon "I ate too much and now I'm sleepy" slump. But it's a sandwich I would surely return to again, if I can manage to resist the temptation of the tacos, fried oysters, or other delights. 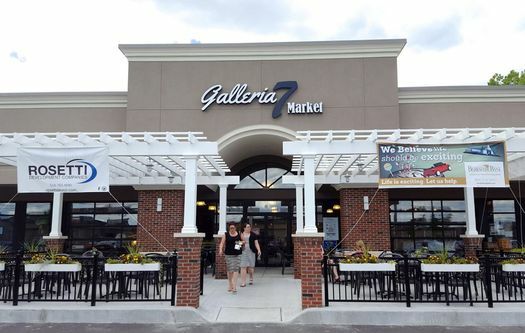 Finding a lunch venue that is quick and suits everyone is a tall order, but food courts like Galleria 7 are able to accommodate multiple preferences. Pasta, barbecue, pizza, a soon-to-open hibachi counter, superfoods-focused healthy eating stations, and a bakery are all nestled under one roof, with copious seating and a spacious patio. And if John from accounting still whines to HR about your fish order, just stop back after work and grab something to cook at home, instead. This place is awesome! I eat here as many times as I possibly can afford each and every week. The quality of their seafood is hands down some of the best I have ever had. There is always something new to try which keeps it interesting. It's always fresh and the people who run it are knowledgeable and very friendly. I highly recommend trying this place. You WILL become "Hooked" just as I am. Was over there a couple weeks ago, totally should have tried that! Welp, guess this is reason enough to go back. Hooked is fabulous. We've had many of their offerings and they have all been top shelf. For anyone who likes to be accomodated by friendly and competent staff, who offer the very best, go get "Hooked" on Hooked.